Nov. 4-5 – Dapper Day Expo at Disneyland. Live music plus vintage and contemporary merchandise marketplace at the Disneyland Hotel, plus fall outings to both parks of the Disneyland Resort. Nov. 3-4 – Danish Rum & Whiskey Festival in Frederiks, Denmark. 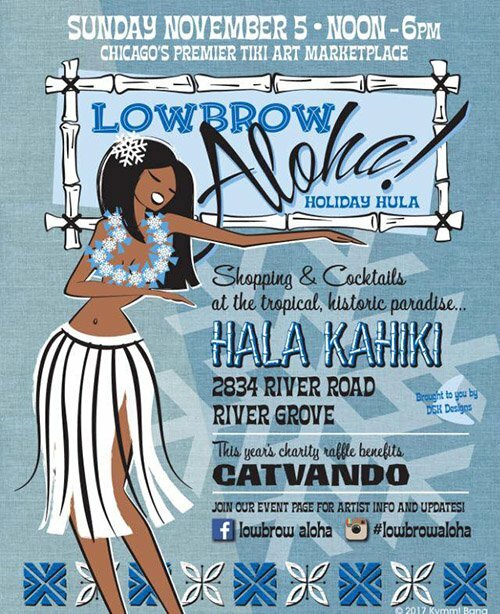 Nov. 5 – Fall Hawaiian Brunch and Bazaar at Trader Vic’s in Emeryville, Calif.
Nov. 5 – Lowbrow Aloha Holiday Hula at Hala Kahiki in River Grove, Ill. 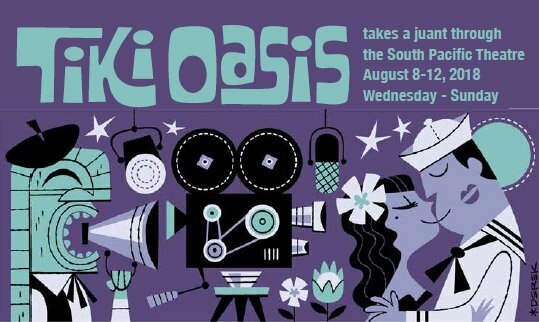 The historic Tiki bar’s latest art show features artists selling their wares, a charity raffle, plus more. Nov. 5-11 – Bamboo on the Bayou in Houston, a week-long, Tiki cocktail crawl featuring some of the city’s top bartenders. Participating bars include Lei Low, Howie’s Tiki, Anvil Bar and Refuge, and many more. The Bamboo Bash street party has been postponed until March 31. Nov. 7 – Lost Lake’s Plantation Rum release party at the acclaimed Chicago rum and Tiki bar. Paul McGee and his crew launch their own Multi-Island XO Lost Lake Private Cask rum from the venerable Maison Ferrand brand. On Tuesday night, we’re so excited to finally welcome a new bottle to our backbar: Plantation Rums Multi-Island XO Lost Lake Private Cask! And we’d even more excited that Guillaume Lamy, Vice President of Maison Ferrand, will be here to help us fête our new arrival! Paul McGee will be mixing up a menu of Old Fashioneds, Hawaiian Cocktails, Whiz-Bangs, and his favorite: Tiny and a Tot! Join us tomorrow evening, 6-8pm. 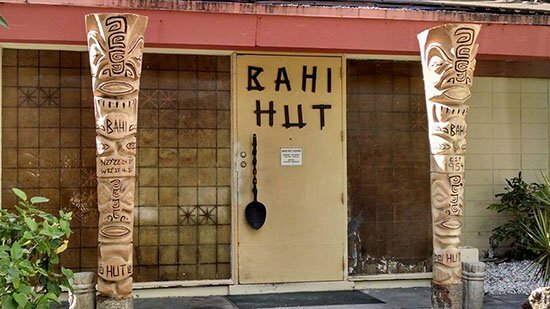 Nov. 11-12 – Sarasota Mod Weekend Mid Century Tiki Bar Tour at the historic Bahi Hut. 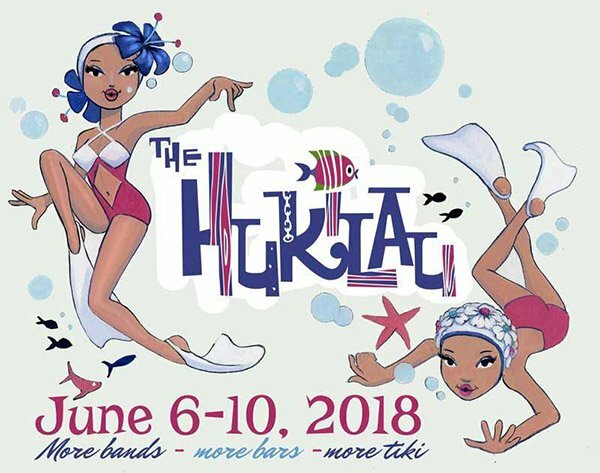 A chance to find out more about Florida’s hidden gem, virtually unchanged since 1954 and the fourth oldest Tiki bar in the country. 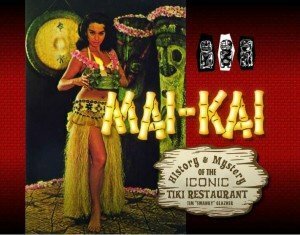 Hear about the restoration plans and sample the signature Mai Tai and Sneaky Tiki. Nov. 12-13 – The Rum Day in Milan, Italy. An exploration of cane spirits (rum and cachaça) featuring tastings, industry networking, seminars and other activities. 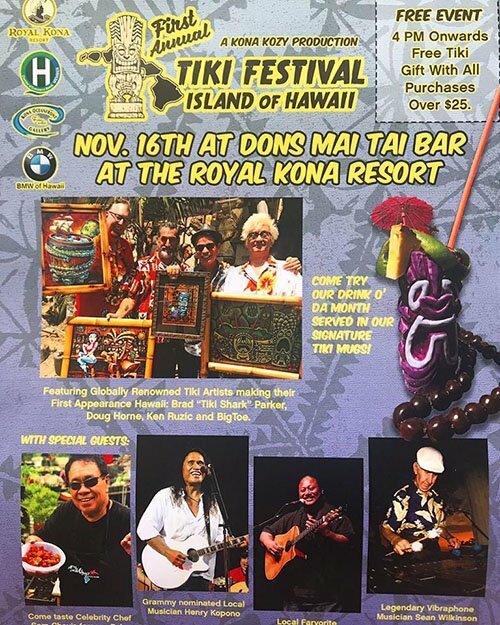 Nov. 16-18 – Tiki Festival: Island of Hawaii featuring the “California Castaways in Hawaii” art show. This free event includes food, music, art and vendors at the Royal Kona Resort and The Shops at Mauna Lani on The Big Island. Artists include Brad “Tiki Shark” Parker, Doug Horne, Ken Ruzic, and Big Toe. Nov. 16-19 – Barbados Food and Rum Festival. This eighth annual gathering in the birthplace of rum shines a spotlight on the area’s local spirits and rum-based cocktails. Also featuring local and international chefs, and a beach party featuring live musical performances. Nov. 18-19 – Dapper Days at Disney World. The fall outing includes stylish gatherings at both Magic Kingdom and Epcot. Includes special rates at Disney’s Polynesian Village and Contemporary resorts. Nov. 25 – Tiki Trader San Diego at Bali Hai featuring more than 60 vendors, music, drinks, fun and food at the historic restaurant on Shelter Island. First Thursday – Otto’s Grotto at Forbidden Island in Alameda, Calif. Tiki Oasis mastermind and DJ Otto von Stroheim spins his favorite exotic tunes. Nov. 4 – Unsteady Freddie’s Surf-Rock/Pop Shindig at Otto’s Shrunken Head in New York City. Nov. 9 – Tiki Bingo at The Mai-Kai in Fort Lauderdale hosted by the Gumbo Limbo Chapter of the Fraternal Order Of Moai. A fund-raising event featuring an extended happy hour. Third Wednesday – Primativa in Hi-Fi at Otto’s Shrunken Head in New York City. DJs Jack Fetterman and Gina of the Jungle spin the best exotica, lounge and cocktail music. 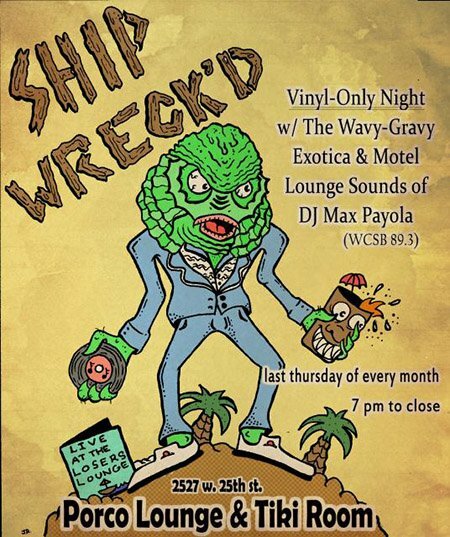 Last Thursday – Shipwreck’d at Porco Lounge & Tiki Room in Cleveland. DJ Max Payola of WCSB 89.3 spins rare vinyl that celebrates the crushed velvet lounge scene of the ’60s and ’70s. Sept. 6-9 – Huka Pele Tiki Weekender in Las Vegas. Oct. 20-21 – UK RumFest in London. Feel free to share events via email or Facebook message (special events only, no regular band gigs or general bar promotions). This entry was posted in Art, Cocktails, Disney World, Events, Events, Events, Events, Events, Events calendar, Mai-Kai, Music, Other Florida, South Florida, The Tiki Times and tagged Bahi Hut, Bamboo on the Bayou, Dapper Day, Disney World, Don The Beachcomber, Hala Kahiki, Lost Lake, Paul McGee, Plantation Rum, Royal Kona Resort, rum, Trader Vic's Emeryville, Walt Disney World. Bookmark the permalink.